This week we are going to have a look and analyze the performance of the foreign exchange (Forex or currency) market in 2016. Foreign exchange is the market where investors are allowed to buy, sell, exchange and even speculate on currencies. Apart from being the biggest financial market in the world, the foreign exchange market is also the most liquid market. 2016 has brought a lot of changes, volatilities and uncertainties in the forex market throughout the year and our Call Levels users have also been very active with setting their levels and making sure their predictions go the right way. Be it the U.S. Presidential elections or the Brexit fiasco which is considered to be this year’s major Black Swan event, there have been a lot of changes in various currencies this year. With Britain voting to leave the European Union on June 24th, Brexit caused one of the biggest impacts to the Sterling Pound which fell from $1.49 to $1.29 in less than a day, marking the lowest price of the Pound since 1985. This was obviously going to affect the U.S. dollar and the greenback quickly plunged by 6.3% the very next day according to CNN. A stronger dollar is not always a positive thing and it did affect the American market because this made American products more expensive and less attractive to exports. The above mentioned chart is an accurate look at the Forex performance leaders over the last year and we see that the U.S. Dollar has seen a 20.85% change (increase) against the Pound. The New Zealand Dollar gained some strength as well because of the ‘safe-haven’ status it received following Brexit. As we see, USD has been performing well against major currencies and that’s because of the volatilities and uncertainties that were a part of their market as well. Following the U.S. Presidential elections that took place on November 8, many predicted that USD would see a major fall following the shock of Donald Trump becoming the new President. But, it’s not just the elections that has made the U.S. currency so strong. The Brexit event, elections in various major European countries such as France, Germany and Czech Republic has also brought a lot of volatility to their market which has helped the dollar strengthen. Coming to the Asian Forex markets and their performance, it has been a rather strange and dull performance for them. At the time of writing, the USDJPY pair is up again by 0.3% at 113.71 after hitting an 8-month high of 113.900 yen. As suggested by Amareos, the dollar has benefited significantly from “reflation” and rising US interest rates. The chart above shows crowdsourced sentiments from Call Levels users for the Japanese Yen to the dollar before the election and they have continued to increase in a positive direction, with clear evidence amongst market participants that the uptrend is going to continue. The above-mentioned chart shows investor interest in USD/JPY over the week after the US presidential elections, and clearly presents that there is clear upside interest up to 112-115. After India decided to demonetize it’s large currency notes, the currency markets saw turmoil as it fell to a yearly low against the Dollar as well. Following the Trump presidency and rumours of a rate hike by the Fed, the Chinese Yuan also saw gradual depreciation as it looked forward to limit economic volatility. A week after the U.S. elections, the Yuan tumbled to an 8-year low against the dollar, as reported by Bloomberg. Following the result of the U.S. presidential elections, the downfall in the Mexican Peso has also been very significant. The Peso which started at 0.05821 against the dollar at the start of the year fell to an ALL-TIME LOW within 3 weeks of the elections, sliding down 12%. It has been very hard for it to recover as it is still trading 10% lower. Here is the live-chart of the peso’s performance. Regarding other South-American countries, the Brazilian Real has also weakened mostly due to the recent political turmoil surrounding allegations of corruption by President Michel Temer. After starting the year high at 4.129/$, the Brazilian real is now trading at 3.42/$. Finally, coming to the Euro, it has had its ups and downs this year. Starting the year at 1.085/$, the Euro saw it’s high in May at 1.534/$ before tumbling to 1.1/$ after Brexit. As mentioned, there are a lot of changes expected in the European market regarding upcoming elections in big countries and the final Brexit call that will be made in 2017. Currently, the Euro is trading at a low of 1.06/$. Here is the chart of Euro’s performance over the year. 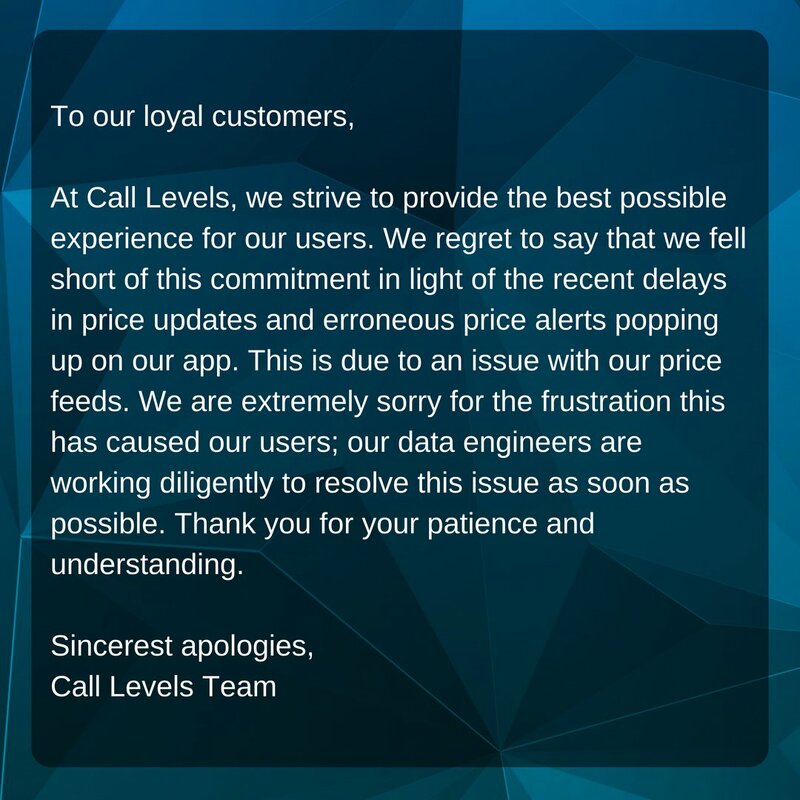 Call Levels users also weighed in on their choices and traded a lot on foreign markets despite of fast movements in the markets during Brexit and elections as we mentioned in our article right after the election. With just one month to go before the New Year, are you expecting the market to quieten down or do we expect to see some changes before that in the currency market? There are also a lot of factors that come into consideration before moving into next year as various European countries will face dilemmas over elections, while the final call on Brexit will be inevitably implemented in May. The rest of the world should also be bracing for potential headwinds once America’s various new policies by the new President-elect come into play, and let’s see how Asian currency markets perform after seeing a rather quiet 2016. Set your levels with us and do not miss out on the 24-hour forex market with Call Levels!